Founded in 2001, The team at Dynamic Health And Fitness believes that individuals must take a proactive, integrated approach on their personal vitality. Our mission is to provide the strategies and techniques necessary for individuals to enhance their lives and also impact those around them. We provide cutting edge programming that fuels our performance center and suite of mobile apps. Our goal is to become a leading resource for individuals, groups, and companies to create a needed shift in health care. The DHF Performance Center is located in the Syracuse, NY area and boasts world class training facilities with cutting edge technology to assist our clients in achieving their health, wellness, and performance goals. Jay has dedicated his life to the pursuit of fitness, health and overall well-being. 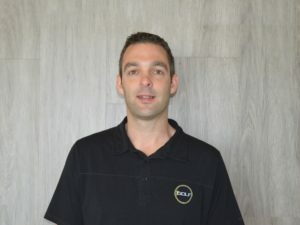 He has a reputation for making an impact on and transforming the lives of junior and elite athletes, patients who have suffered physical injury, as well as people who simply want to improve their health and/or appearance. Jay has had over 20 years of experience in the health & fitness industry in management and training. He is the founder and owner of Dynamic Health & Fitness since 2001. He is credentialed by the National Academy of Sports Medicine and is a Fellow of Applied Functional Science from the Gray Institute. Jay currently serves as CEO for the technology company GoMotive, and has developed mobile apps for office wellness to on demand exercise in the home environment. Nick got his start as a student athlete at Dynamic Health and Fitness. After achieving his goals through training at DHF and watching his family members do the same, Nick decided to dedicate his life to helping others through health and wellness. Nick went on to achieve a Bachelors of Science in Exercise Science at Suny Cortland. 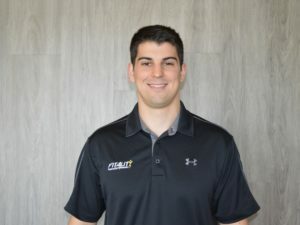 While in school, he expanded his education by becoming certified as a Personal Trainer and as a Corrective Exercise Specialist through the National Academy of Sports Medicine. 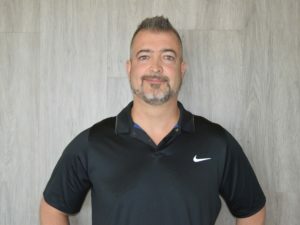 More recently, Nick achieved a certification in Applied Functional Science and Functional Soft Tissue Transformation through the Gray Institute. Since Nick became a coach at Dynamic Health and Fitness in 2010, Nick has helped individuals of all ages and backgrounds achieve their goals. Through his deep understanding of human movement, he has helped individuals and athletes out of pain, improve health and wellness, and improve performance. Nick’s passion, education, and experience will help you achieve your goals. 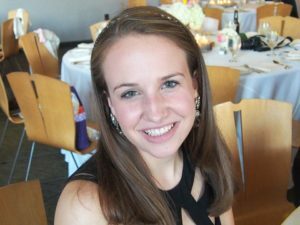 Emily has been interested in sports and nutrition since she was in ninth grade. Playing basketball, lacrosse and softball, she realized how nutrition plays a huge role in setting an athlete up for success. She attended Marywood University and was selected to be in an accelerated program that allowed her to complete her Bachelor’s degree and 1200 mandatory internship hours all in her 4 years there. She is currently pursuing a Master’s degree in Exercise Science with a concentration in Sports Nutrition from Concordia University of Chicago. She has a passion of working with athletes and individuals of all ages to help foster better nutrition habits and help them reach their health and fitness goals.